One News Page United States > Entertainment News > So.. Is Daniel Craig Doing Another Bond Film, or What? So.. Is Daniel Craig Doing Another Bond Film, or What? The production of the landmark 25th James Bond movie – of course, currently titled Bond 25 while details are fleshed out – has been more mysterious than any of the other 007 adventures put together. For the longest time, it was believed that Daniel Craig – who has played the world’s most famous secret agent in four big screen adventures (Casino Royale, Quantum of Solace, Skyfall and SPECTRE) – would be backing out of playing the character for a fifth time, and scenes at the end of SPECTRE suggested that Bond could be retiring – however, the news has never quite been cemented one way or the other, and it’s all proven rather tiring keeping up to it all – until, it seems, very recently. 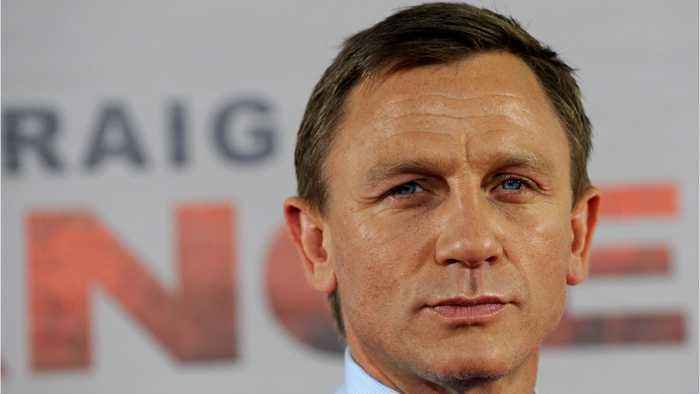 Despite various sources saying he will, and various ones saying he won’t, Craig has recently opened up to the media, stating that Bond 25 is the next project on his slate – though he hasn’t commented directly on Danny Boyle’s involvement. The Trainspotting director is thought to be on board to helm the fifth adventure for Craig’s strong, silent Bond – whom the actor has been portraying, he has advised in interview, in a manner that will appeal more to both male and female audiences. Certainly, his performances haven’t gone un-acclaimed – despite SPECTRE falling a little short of some critics’ expectations, Skyfall is still regarded as one of the finest Bond pictures ever produced. James Bond is a character which has evolved over several decades and with several faces – and the movies he’s appeared in have varied in tone, too – with some of the outings of Pierce Brosnan and the late Roger Moore seeming particularly cheesy in some viewers’ eyes these days. That is, of course, in comparison with the super-gritty run of 007 flicks that have been on the release since Craig took the lead role in Casino Royale. 007 remains immensely profitable and popular with various audiences worldwide, and as a cinematic institution, it’s hardly surprising that it’s set to continue in one form or another – and while the flip-flopping on whether or not Daniel Craig would return appears to be over, we will perhaps now simply be glad just to sit back and watch 007 do his stuff – Bond 25 is reportedly on the horizon in the next few years, meaning details will likely be getting rolled out sooner than you think. Let’s not think about who’s replacing Craig until he’s done – and let’s hope his fifth outing is his best yet.